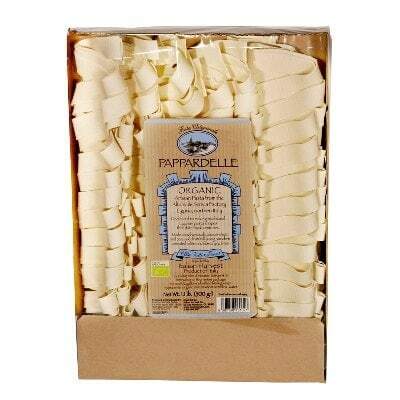 A flat ribbon type of pasta, Pappardelle is typical of the Tuscany region. It looks like fettuccine and can be served with a variety of sauces. It can be especially delicious with cream, meat, and seafood sauces. Or if you’re feeling lazy, you may even opt to simply toss it with butter and some cheese. After all, simplicity has its delicious advantages. Now, this box from Alta Valle Scrivia, in particular, is made with natural organic ingredients. And when you cook it, it has the texture and taste of scrumptious dumplings. Can’t wait to experiment with it in your home kitchen? Get a bag of this delightful pasta today!